Does Prepregnancy Asthma Increase Central Nervous System Defect Risk in Offspring? Offspring had an increased risk for neural and nonneural tube defects if the mother had asthma that resolved prior to pregnancy or had asthma during pregnancy, respectively. Asthma in childhood is associated with a future risk for certain types of central nervous system (CNS) defects in offspring, even if the asthma is resolved prior to pregnancy, according to the results of a longitudinal cohort study conducted in Québec, Canada, between 1989 and 2014, and published in Birth Defects Research. Investigators sought to evaluate whether childhood asthma is related to the risk for having an infant with a neural tube or other CNS defects compared with asthma that occurs during pregnancy. They analyzed a cohort of 128,060 women who were ≤5 years of age at study entry and subsequently gave birth to a live infant (prior to March 31, 2014). Women qualified for entry in the cohort if they were ≤5 years of age in 1989 or later and delivered their infant in a hospital in Québec. The cohort was followed through childhood and prepregnancy reproductive years to identify all hospitalizations, including during childhood and adolescence, in which asthma had been documented. Moreover, the cohort was monitored during pregnancy to establish whether asthma was present at the prenatal follow-up. Obstetric records were used to determine whether the women had asthma during pregnancy. Main study outcomes included neural tube and nonneural tube defects in any pregnancy. Study results showed that the presence of asthma was associated with a greater risk for neural tube defects in offspring (risk ratio [RR], 2.39; 95% CI, 1.03-5.53) compared with not having asthma. Specifically, offspring born to mothers with any asthma had a greater risk for spina bifida (RR, 2.61; 95% CI, 1.08-6.34). However, the presence of asthma was not related to an increased risk for nonneural tube defects (RR, 1.10; 95% CI, 0.71-1.71). 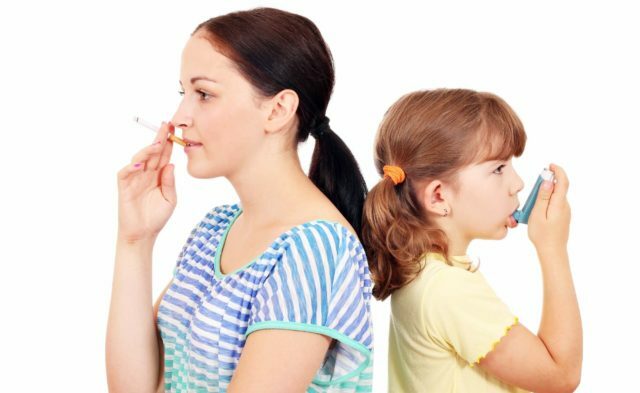 In addition, offspring of women whose asthma resolved prior to pregnancy had a greater risk for neural tube defects (RR, 3.43; 95% CI, 1.35-8.69), whereas offspring whose mothers who had asthma during pregnancy had an increased risk for nonneural tube defects, particularly microcephaly (RR, 2.80; 95% CI, 1.23-6.40). The investigators concluded that additional research is warranted to provide insight into the pathophysiology that connects childhood asthma and CNS defects in the offspring of the women who were evaluated. Such a tactic might perhaps lead to therapeutic or preventive approaches. Close more info about Does Prepregnancy Asthma Increase Central Nervous System Defect Risk in Offspring?